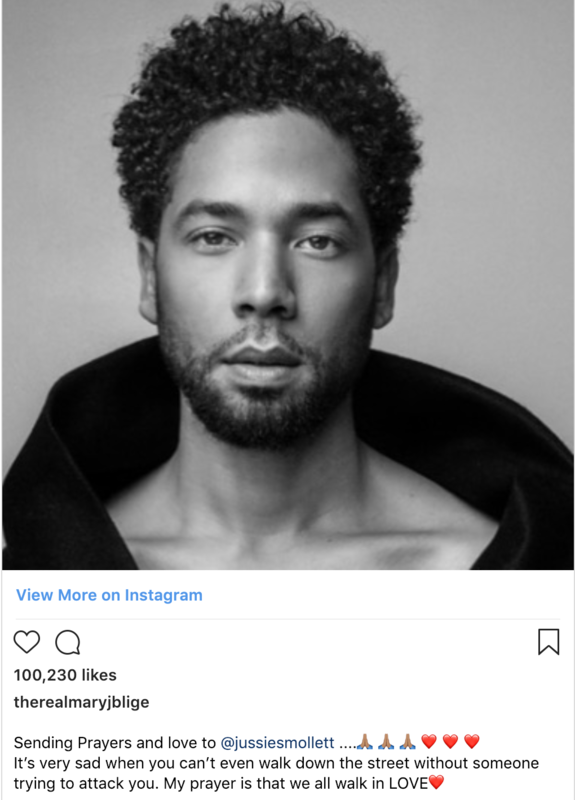 Details about the Empire Star Jussie Smollett’s Attack. Empire actor Jussie Smollett was attacked by ski-masked 2 men last week, leaving him hurt and bruised. The attack is now undergoing investigation by the police to determine whether it’s a hate crime or not. Smollett , who’s black and openly gay, told officers that he was accosted while walking to his apartment by two men who called him an “Empire f—-t [n-word].” Smollett said the man beat him and poured an ‘unknown chemical substance’ on him, staining his clothes. Report said that when officers arrived, Smollett had a white rope draped around his neck. After the attack, many celebrities tweeted their sympathy.  A number of celebrities have taken on social media to send well wishes for Smollett; while some express their confusion, shock and anger about the attack. 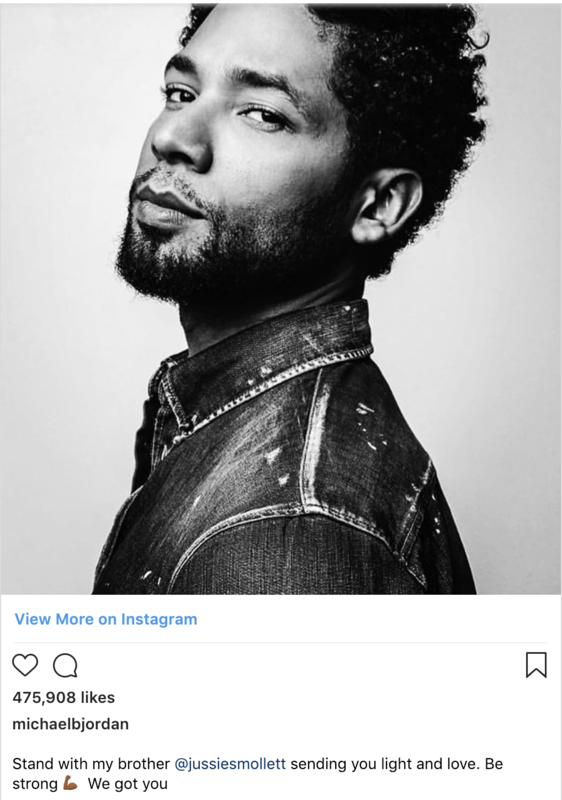 Celebrities such as Tracee Ellis Ross, Mary J.Blige, Kelly Rowland, Michael B. Jordan , John Legend and many more have sent their love and hope for rapid recovery for Jussie. Some of them also shared their disappointment in the racist, sexist and homophobic society. Police are now reviewing the surveillance cameras and we hope the attackers will soon be found out.